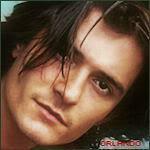 Yes, I finally got to see Orlando as Dr. Martin Blake in The Good Doctor! It was well worth the wait because Orlando was excellent in this! I don't want to give too much away just in case you haven't seen it but what a different role for him to play, it is definitely much more different than any other role he has played. And I can't get over the stuff he did and I think they should change the title to The Twisted Doctor because he definitely was that and I certainly wouldn't want him as my Doctor. Also, everyone else was excellent as well, I thought Rob Morrow was great as the Chief of Staff and Taraji P. Henson played a tough nurse and she and Martin had a couple of confrontations, talk about chemistry. And then there was Michael Pena, talk about a thorn in your side because he definitely was that to Martin. And it was also nice to see J.K. Simmons towards the end. I also thought Riley Keough did a good job and I definitely can see Elvis in her. So, I know you will enjoy this movie and seeing Orlando playing a baddy but one that you will want to route for despite of the horrible things he does. Now all I have to do is wait patiently for the DVD and hopefully they will let us know when the DVD release date will be soon. Here's a review but not by a Ka-Bloomie - it's from shockya.com. In short, this reviewer gives it a B. There are additional KBer reviews here and also here if you want more impressions. If you get a chance to see it, it is well worth the wait. Another review - this time from the A.V. Club. <snip>Martin’s superior (an excellent Rob Morrow) notes that “the key to being a good doctor is acting like one,” and Bloom gives Martin a preternaturally calm, authoritarian tone. Strangely, it’s also one of the British actor’s most accessible performances. Away from costume dramas and genre films, he has surprising weight. Bloom’s watchfulness and brittle seriousness anchors “The Good Doctor,” even as it wanders away from reality and into its own bizarre world. <snip>Some of the underplaying falls flat, but for the most part the tone works. John Enbom's slow-burn script avoids overloading the action with backstory or psychologizing, and Bloom strikes the right balance of diffidence, panic and blank-itude to keep things creepily on edge.Supporting performances are strong, with Rob Morrow especially convincing as a supervising physician, and J.K. Simmons making the most of a brief turn. Wow, is that ever a back-handed compliment. And there's another one from Cinespect. How does this sound for an article title - "In Praise of Good-Guy Actors Playing Horrible People?" Someone at The Atlantic gets it. There are way too many compliments to start quoting them all in this post. Go read and enjoy. Dan the Man (who? 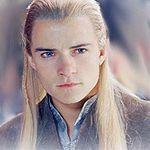 Nope, I hadn't heard of him either) calls it an "exceptional performance from Orlando Bloom." And other compliments in the review. <snip>After watching The Good Doctor, I am torn. At its core, it is a demented and warped love story. It marks the invisible line where desire becomes obsession, leading to Blake's undeniably inhumane actions. In some ways, this works against the movie, as we are given no character to cling to throughout; we do not feel attached or responsible for anyone, not even the victims of Blake's cruelty. Bloom's acting was outstanding, especially because it is so different than some of his typical roles. He achieves a certain level of "creepiness" yet does not alienate the viewer. Keough's role was less memorable because she is in a hospital bed for most of the movie, but I feel like her role is less memorable and pronounced because it is not about her; she is a victim of Blake's actions and, therefore, fades into the background. Bloom, seemingly bland and affectless (except when he's sucking up to his supervisor, played by Rob Morrow), keeps you watching exactly because he keeps surprising with the drastic and unexpected steps this doctor takes. He shifts from sneaky to haughty with a look. And director Daly uses that chilly exterior to hook you into the often preposterous doings of "The Good Doctor." It's just plausible enough to give you a good case of the chills. I have posted this / my review of The Good Doctor in some other board / forum, that I am a member of before. But I thought maybe I could repost it here for you once more, if you all like ..
... for those, who didn´t read about, maybe saw the trailer or don´t want to hear more about the movie "The Good Doctor" .. So, if some of the ladies here don´t like to get a review of this movie .. Here is the english IMDb webside and short information of the movie .. I apologize deeply, if my english translation is too ill and bad to read for you..
"Dr. Blake worries about the young patient Diane, to obsession pure from affection becomes. The unexpected situation overcomes the young doctor and a horror trip, in the dark side of his human psyche, takes his run. "The Good Doctor" appears in Germany, still before the US-film start, on the 27th of July, 2012 DVD in trade. Film critics warns jokingly against entering after the looking of "The Good Doctor", in future doubtfully a hospital. who stands in a Californian hospital at the beginning of his career. prescribes drugs and saves life. Nevertheless, behind his noble mask another person is hidden. Deeply inside Blake self-consciousness and lacking empathy is tormented for other people. Dr. Blake longs for attention and recognition. Finally, this is fulfilled when 18-year-old Diane Nixon (Riley Keough) with a nephritic infection on his station is brought. Emotionally cold Blake is entrancedly from the Diane same to angel. Devotedly he looks after the young patient. His lacking empathy out of other people seems to belong since this meeting, to the past. Well supplied, Diane recovers fast and now should be dismissed. to be able to keep them longer in his nearness. thus his mania-witty power play about life and death unrestrained. For patient as well as the doctor the obsession becoming more and more intensely has serious results. This changes, as a nurse Jimmy (Michael Pena) Blake on the skin moves. He blackmails the doctor with the diary of the by which Blakes lives finally out of control gets. and narcissistic in the person on the subject. to perform his secret plans. Apparently inexorably the central figure gets in the spiral of his bad Ichs. Against it the female central figure scratches exactly in the other extreme. She is at the mercy of Dr. Blake and looks innocent in her helplessness and pure. The scissors between animal instinct and naive innocence are far open and provide for a depressing atmosphere." Now comes my review of the movie ..
Last month I had the luck and the opportunity to watch "The Good Doctor". I must really say that I am absolutely surprised .. an that in the positive sense. and rather appeared increasingly in his role being a devoted husband and as a loving father for his son Flynn. His role as the Duke of Buckingham in The Three Musketeers was a kinda so so ..
in the Independent movie Sympathy for Delicious .. which was absolutely and totally a waste of time in my eyes. Therefore, my expectations were rather slightly to Mr. Bloom what concerns playing the role of a doctor. Means this time I was extra special critical. 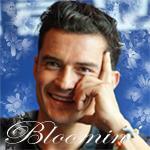 as Shy in Haven, the wonderful goofy Drew in Elizabethtown ..
and above all in the role of the fierce Will Turner in PotC. and Captain at the end of the story … that I liked ! So the media and the fan hysteria brought things to the boil. He really needed this creative break and everybody granted it to him sincerely, no doubt. to build up on the success he had a way back when. Sometimes all bonus points which one holds as a public figure are also used. he didn´t liked to be a part of it again … ever… his words … not mine … but in the end … well ? The opportune moment, in my eyes, came by playing the part as doctor Dr. Martin E. Blake. Nice to see how Mr. Bloom has internalised the role formally and takes himself (his persona) beside. What I mean is his facial play, gesture which we all love him for. Sometimes it still flashes by, just then suitably to the scene. Great! The camera work or the picture settings, which reminds of puristic photo series and paintings,is very impressive also. In it seems to immerse the characters formally or being part of the whole picture itself. The scenes which show Dr. Martin E. Blake at home, on the beach, in the house.. brilliant! I don’t like to spoil and tell too much, but I can only recommend you really to watch the movie!! If not in the theatre, then perhaps later at home on DVD. It is really worthwhile! Handy hint: Better do not consider to watch the movie, if a hospital stay is on the plan. I from my point of view would not like to be Dr. Martin E. Blakes ---> patient. No, sir'ee! take a closer look on the acting case and maybe finally recognise the true talent from Mr. Bloom. * pssst ..* Last mention .. he really does know how to act!!! After many delays, I finally saw The Good Doctor this week. I'm not sure where to begin except to say that it was a chilling look inside a very twisted mind. Yes, he was lonely and lacking in social skills, but that alone couldn't explain why he did what he did. From several conversations and actions he had with other characters I picked up some clues about him. He said he didn't have the advantages of other students, which let you know his family was poor. He probably relied on scholarships or grants, and he had to work extra hard to keep up grades. This meant to me that he didn't have friends, or time to make any. He even told Dianne he wasn't the most popular at school, but now he was a doctor. When he told his supervisor he wanted to be a doctor for the respect, he added that he wanted to help people as an afterthought. He told Dianne's sister that even though he wasn't making a lot of money, it was more than he could make at home. Once again, it's the money and power. And, there was the scene where he went to the consulting doctor's car, and couldn't resist sitting there with the motor running. You knew it was the respect and power he wanted. I've asked myself did he ever care at all for Dianne, and I'm still not sure. I think it was mostly about needing approval and her dependence on him. On another point, yes, there were moments that made you laugh. One was the incident with the baloon left by Dianne's boyfriend. Another, and this is kind of sick, when he slipped Jimmy the poisoned drugs, then Jimmy kept following him. Maybe that means I'm as sick as Dr. Blake. I think the thing that really showed me what this man was about, was at the end of the movie when he was being questioned by the police detective. What Dr. Blake syas about Dianne just makes your blood go cold. He dismisses her as "just a patient". He now has the approval and respect of his fellow doctors and nurses, and he doen't need her anymore, so he just moves on. Orlando gave one his best performances ever, and the movie will leave you with a lot to think about. I still can't get is out of my mind.